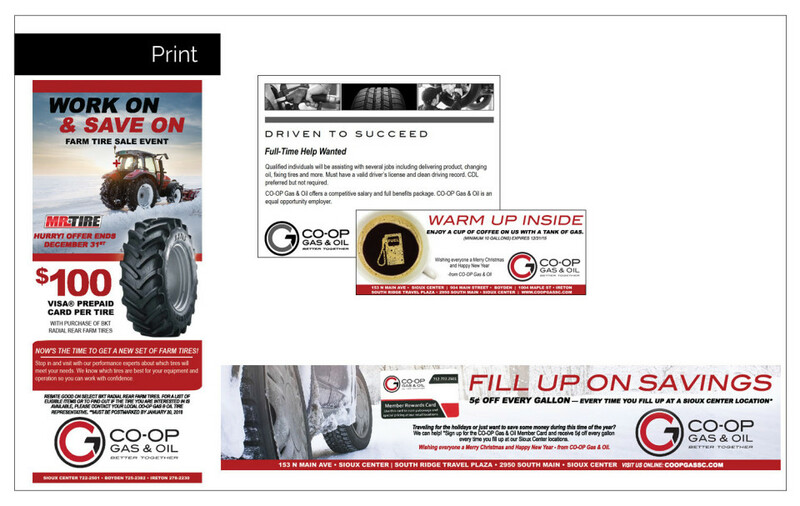 Creative Brief : CO-OP Gas & Oil came to Agency Two Twelve with one plan in mind — to renew their brand and create a new vision for the future. Agency Two Twelve conducted a 360 Review to better understand their business and goals in order to build a budget and marketing plan. From this review, it was determined that a new logo and tagline would be the best first step. From there, the Agency is working with management from CO-OP Gas & Oil to develop an integrated marketing plan which will allow them to focus on their roles in growth and success. Projects : Logo Design. Printed Material.